• Research data are documented and could therefore be validated. 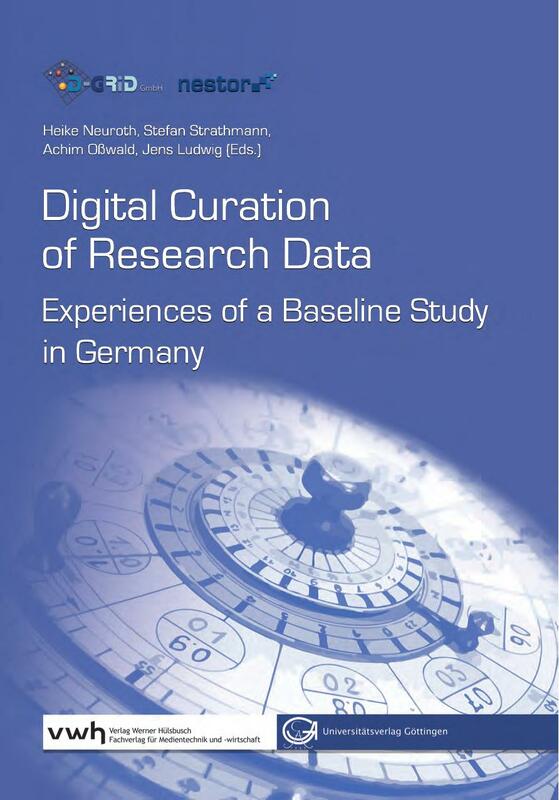 • Research data could be the basis for other and new research questions, since they could be an integral part of the (digital) research lifecycle from the very beginning. • Research data could be re-analysed by using new, innovative digital methods which were unknown at the moment of data acquisition. • Research data could be used by other disciplines, therefore encouraging interdisciplinary research. 1. Consider potential reuse purposes - what aims could the data meet? 4. Weigh up the costs - which data management costs have already been incurred and therefore contribute to its value, and how much more is planned and affordable? Where will the funds to pay these costs come from? Considering these questions will give you the cost element of your data appraisal and should help identify any need for external advice, e.g., on how to deal with any shortfall in the budget. justification for not keeping it. 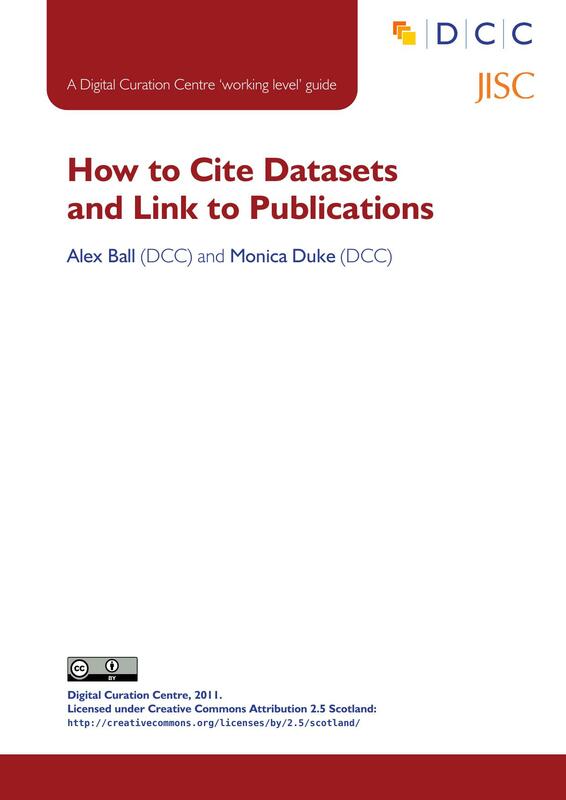 This guide draws mainly on the existing DCC guide, How to Appraise and Select Research Data for Curation. 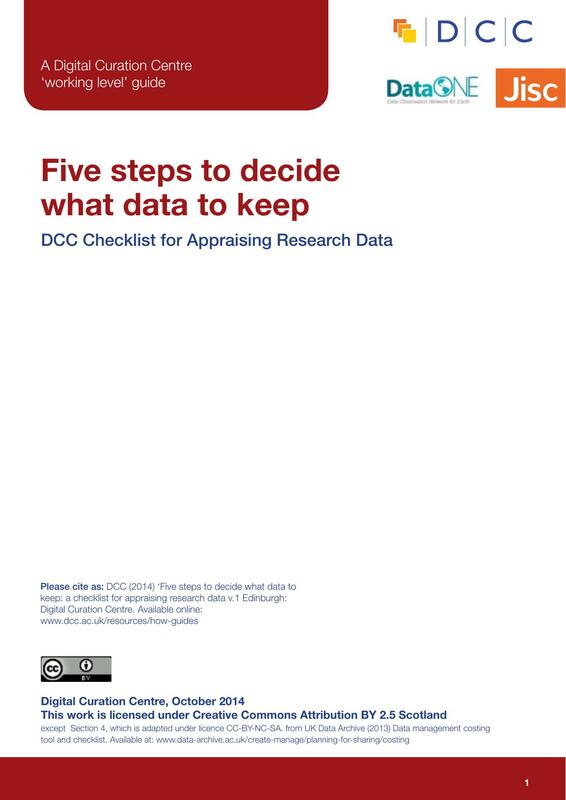 NERC Data Value Checklist, and University of Bristol Research Data Evaluation Guide. 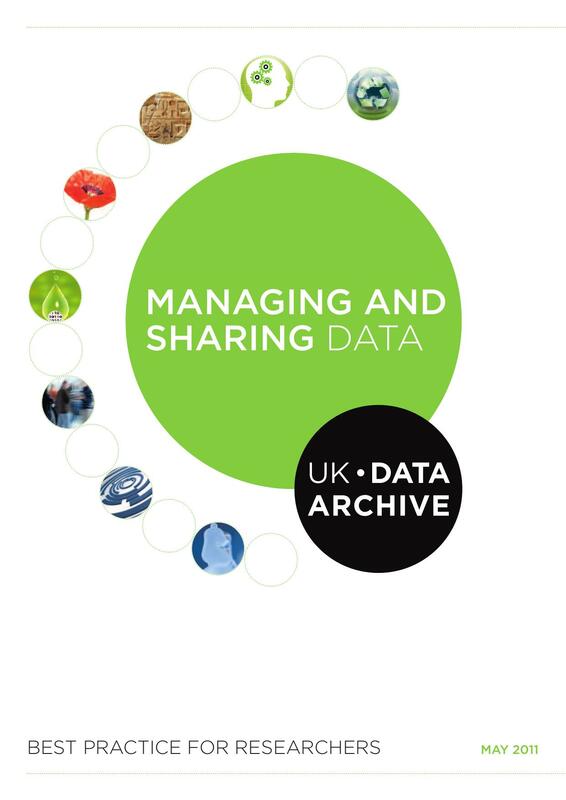 Section 4 is adapted from the UK Data Service’s Data management costing tool and checklist. 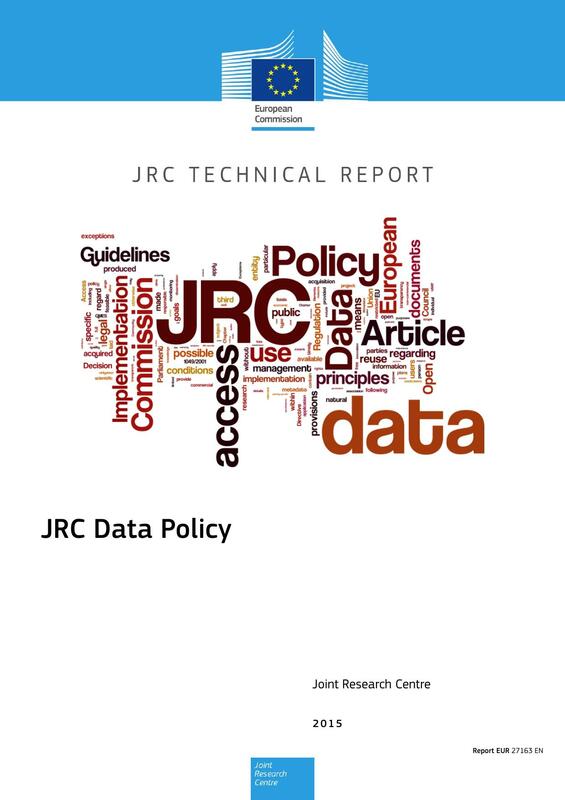 Ensure that JRC data are made available through the EU Open Data Portal. elements like data management plans, as well as the monitoring of its implementation. 1 2011/833/EU of 12 December 2011. 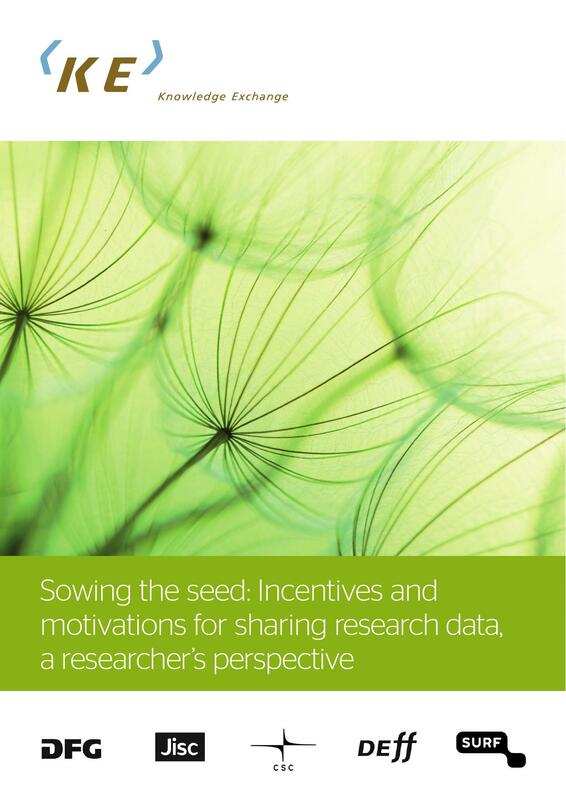 This study, commissioned by Knowledge Exchange, has gathered evidence, examples and opinions on current and future incentives for research data sharing from the researcher’s point of view, in order to provide recommendations for policy and practice development on how best to incentivise data access and reuse. research disciplines and research environments, produce highest quality research data with the greatest potential for long-term use. Expertise for producing this guidance comes from the Data Support Service of the interdisciplinary Rural Economy and Land Use (Relu) Programme, the Economic and Social Data Service (ESDS) and the Data Management Planning for ESRC Research Data-rich Investments project (DMP-ESRC) project. All these initiatives involve close liaising with numerous researchers spanning the natural and social sciences and humanities. 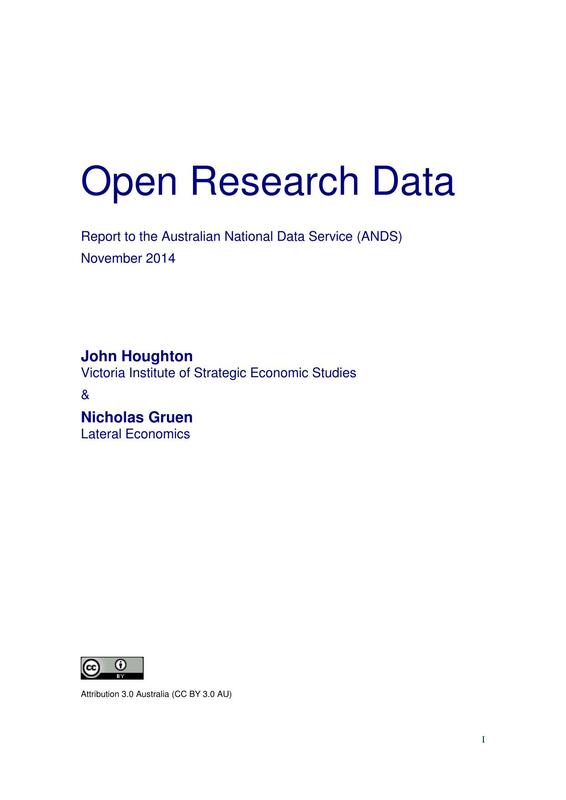 This study offers conservative estimates of the value and benefits to Australia of making publicly-funded research data freely available, and examines the role and contribution of data repositories and associated infrastructure. It also explores the policy settings required to optimise research data sharing, and thereby increase the return on public investment in research. The study’s focus is Australia’s Commonwealth-funded research and agencies. It includes research commissioned or funded by Commonwealth bodies as well as in-house research within research-oriented agencies wholly or largely funded by the Commonwealth. Government data or public sector information is a separate category of publicly-funded data – although there is some overlap at the margins (e.g. Commonwealth Government funding for Geoscience Australia). can be kept at a manageable level for individual organizations. 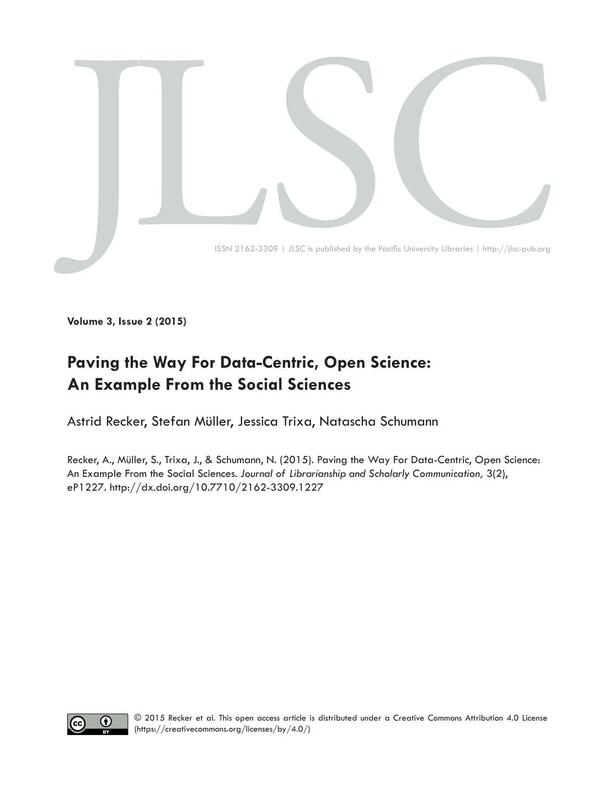 On the basis of this work, RECODE identified two overarching issues in the mobilisation of open access to research data: a lack of a coherent open data ecosystem; and a lack of attention to the specificity of research practice, processes and data collections. 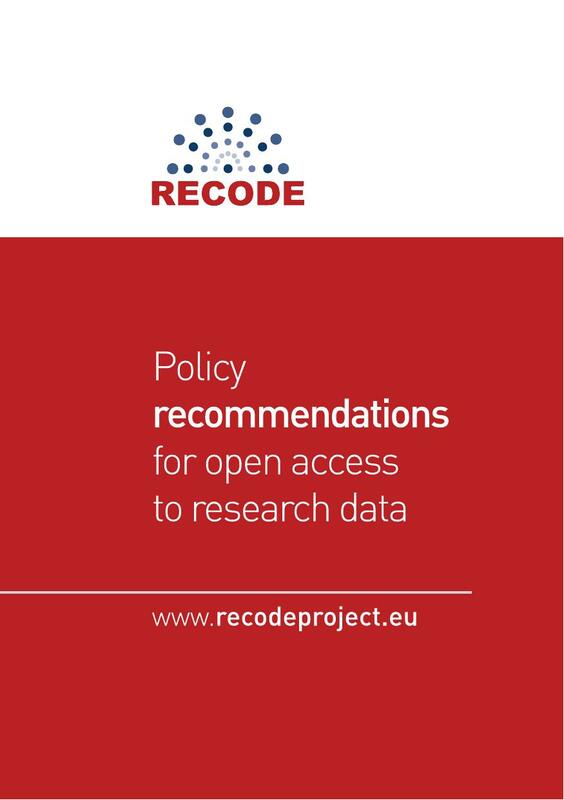 These findings along with the horizontal analyses of the RECODE case studies in relation to the four grand challenges, have informed the following policy recommendations on open access to research data. A mandatory and non-overridable copyright exception for text and data mining (TDM) for both commercial and non-commercial activity is needed. 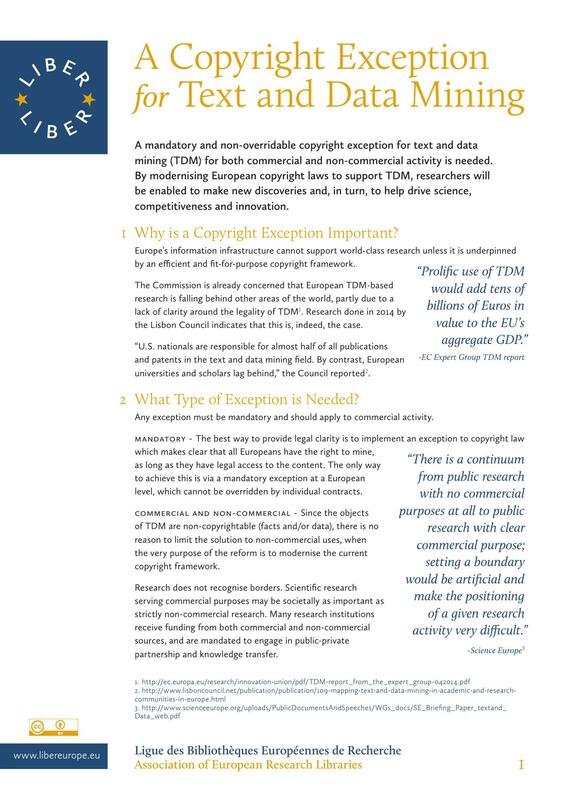 By modernising European copyright laws to support TDM, researchers will be enabled to make new discoveries and, in turn, to help drive science, competitiveness and innovation.